What is the Silhouette InstaLift and What Does it Do? The Silhouette InstaLift is a new and innovative procedure that uses specially designed absorbable sutures to lift facial structures particularly the cheeks and jowls that have sagged over time. Each InstaLift suture is made of a material that has been used safely and successfully in surgery for many decades and has multiple tiny absorbable “cones” that are strategically placed along its length. When the suture placed under the facial skin the cones “grab” the undersurface of the skin elevating the facial structures to a more desirable position as the suture is tightened. 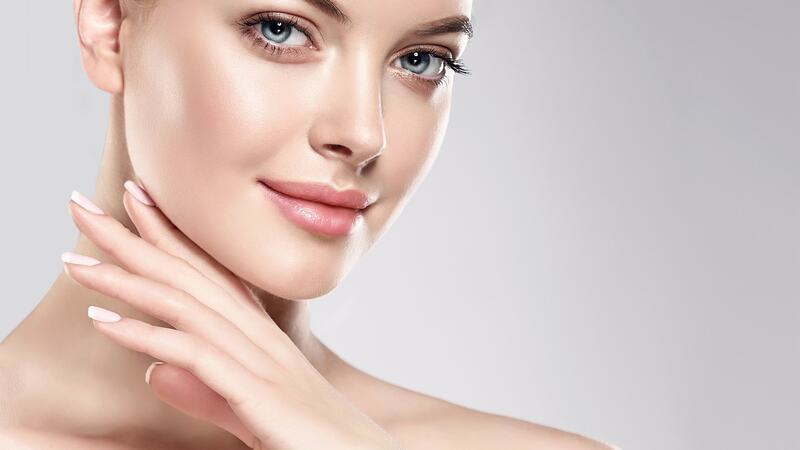 The result is a fuller more youthful looking cheeks, a reduction in the jowls, a straighter more defined jawline and a softening of the folds around the nose and mouth—overall a pleasing rejuvenation of the face. Who is the Best Candidate for the Silhouette InstaLift? Patients who are just starting to notice their face starting to age—those in their forties and fifties with early sagging of their cheeks and jowls who are not yet ready and don’t want to undergo surgery are the best suited for the Silhouette InstaLift? . This procedure cannot replicate the results of a facelift and is not meant as a replacement. For those with marked facial sagging, surgery is often the better choice. With the Silhouette InstaLift we now have a wonderful alternative for patients who want facial rejuvenation and aren’t yet candidates for surgery. How is the Silhouette InstaLift Performed? Is the Procedure Painful? The Silhouette InstaLift is an in-office procedure performed entirely under local anesthetic. No sedation is required. Apart from the momentary discomfort of placing very small amounts of local anesthetic in the face where the sutures enter and exit, there is no pain. After the local has numbed the areas where it was injected the sutures are strategically placed under the facial skin and tightened without any further discomfort. The entire procedure of placing three to five of the sutures on each side of the face takes about 45 minutes. You can resume normal light activity, return to work, shower and wash your face almost immediately after the procedure. There may be some swelling and mild bruising for several days afterwards. Make-up can be applied the day after the sutures are placed. What Can You Expect After the Procedure? How Long Does It Last? You will see an improvement almost immediately after the procedure. As the sutures stimulate collagen production over time, most patients notice they look even better several months later. The sutures absorb and disappear entirely after 18 months. Can the Silhouette InstaLift Be Combined With Other Procedures? Combining the Silhouette InstaLift with other facial rejuvenation procedures can significantly improve the overall results. Dermal fillers, neuromodulators (Dysport and Botox), minimally invasive necklifts such as J Lift or Thermi Neck all can be done at the same time as these sutures are placed. The fee for The Silhouette InstaLift depends on the number of sutures required to give the desired result —a minimum of three sutures a side (six total) to five per side (ten total). Our current price is $300 per suture or from $2400-$3000 for the procedure. The Silhouette InstaLift is a valuable addition to the minimally invasive procedures we can offer for facial rejuvenation. If you are interested in this procedure, please fill in the form below.